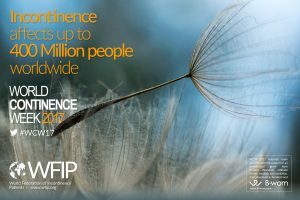 World Continence Awareness Week 2017: Find out how to help! What is the purpose of World Continence Awareness Week? Incontinence and bladder-related problems are now more common than asthma, diabetes and epilepsy combined. Critics say incontinence, a condition, which affects an estimated 400 million people worldwide, has been misunderstood, poorly treated and inadequately addressed in the past. Incontinence affects the bowel and bladder resulting in leakage, impacting a sufferer’s health, confidence, self-esteem and quality of life in general. Bladder and bowel incontinence is often still considered an uncomfortable and taboo subject. As so many people suffer from the condition, this is a problem which needs to be widely discussed! 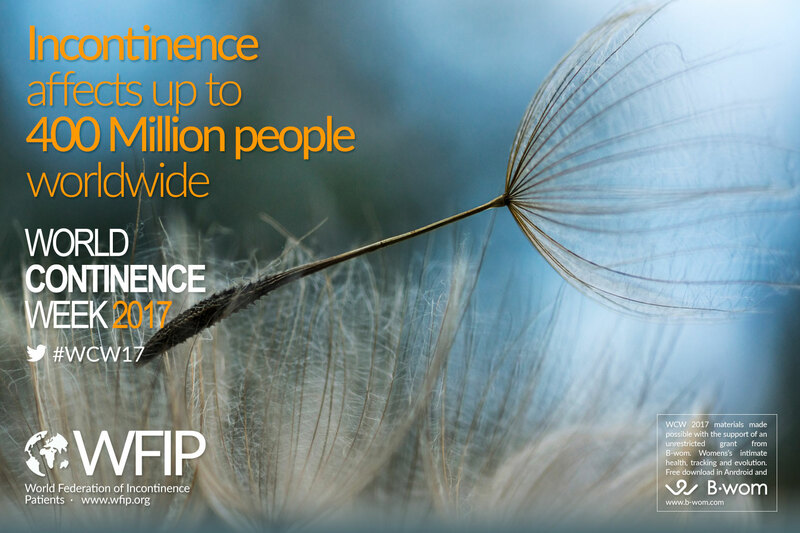 First initiated by the International Continence Society in 2008, World Continence Awareness Week is now co-ordinated by the World Federation of Incontinent Patients. World Continence Awareness Week aims to raise awareness, provide support for people with incontinence and promote a multi-disciplinary approach to treatment. The week is always held on the last Monday to Sunday in June each year. Activities have since been developed worldwide, and countries including Canada, USA, China, Denmark, Brazil, Singapore, Poland, Greece and Uganda hold events with the aim of raising awareness of incontinence. The video below was posted by the International Continence Society in 2013 and describes the initial aims of World Incontinence Week. New WCW resource packs are available online on the WFIP website. You can download posters and logos and even download a report form to share the activities you plan on doing. Some additional ways to raise awareness could involve creating displays in public areas, shops, libraries, talk on local radio or take part in other events to raise awareness. 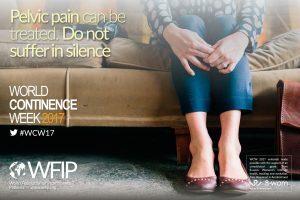 People with incontinence should never feel that they have to suffer in silence and should always remember that it is a common condition. Incontinence can be managed with a range of solutions, and you should encourage someone who has incontinence to go and see a Doctor to discuss these methods. If you feel you need to seek more guidance on bladder or bowel control, please forget your inhibitions and seek consultation regarding the best way to treat your particular symptoms. In addition to taking part in activities for incontinence awareness, it is important to do everything you can to simply talk about incontinence in order to combat the taboo of the subject. For guidance on how to effectively spread information about incontinence, you can read our blog on talking about the condition here. A spokesperson for Attends, one of the world’s most respected healthcare companies has commented on the event, “It is important to raise awareness of incontinence”. The company asserts, “Many people still believe that bladder problems only affect older people; however young people, both men and women can be affected by bladder weakness for a variety of reasons. Although there are several aspects of ageing such as menopause and prostate conditions which can have an effect on bladder health, the phenomenon is definitely not limited to our grandparents”. Attends encourages, “if you are experiencing bladder weakness, we recommend you contact your continence advisor or urologist.” Attends has been providing incontinence products for 35 years, and encourages people to confidently choose incontinence products without the worry of embarrassment. If you need guidance on finding products for you or someone else with incontinence, the Attends website offers a useful product finder guide to assist you in this. Alternatively, you can jump straight to their range and manage incontinence without the hassle here.